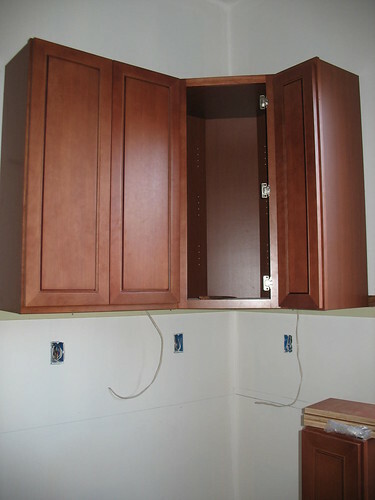 First cabinet in, originally uploaded by berkeleygal77. It's the beginning of the end!!! The reason the corner cabinet has no door is because it's getting a glass door. The better to show things off with, my dear.